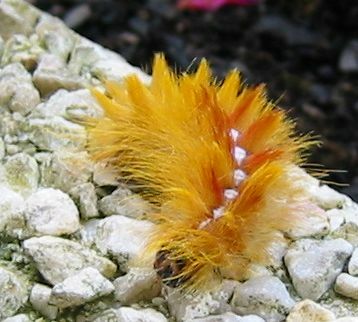 This amazing mohican caterpillar was found on Bergonias outside a Super U Supermarche in Brittany, France! 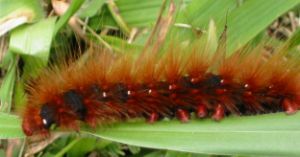 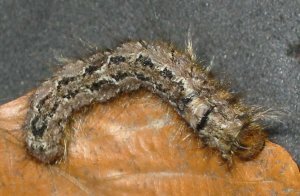 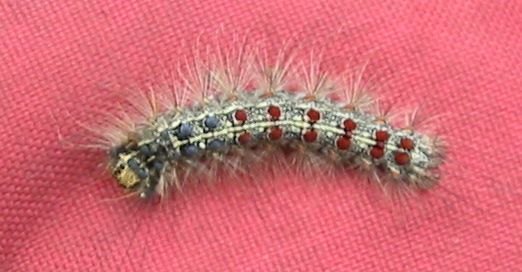 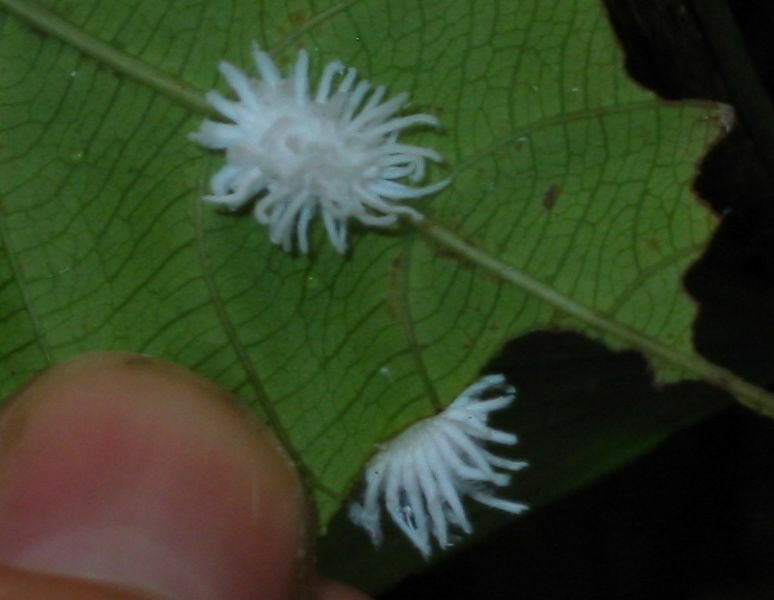 It is a Sycamore Moth caterpillar (Acronita aceris). 9th September 2002. 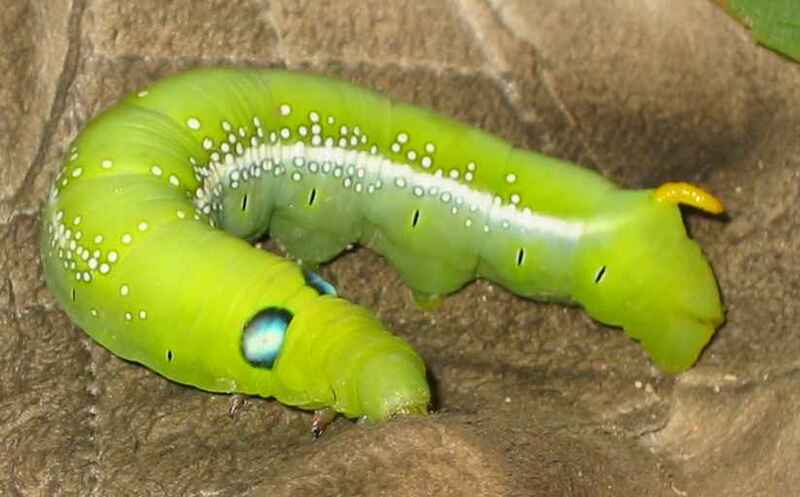 Brilliant green caterpillar found in a cafe in Thailand. 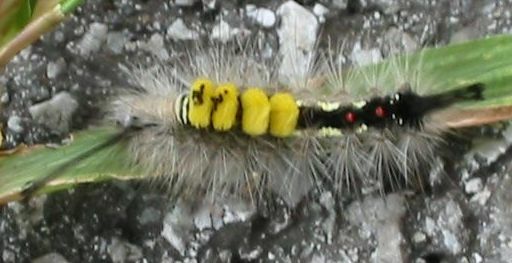 This is of the genus Daphnis, probably Daphnis nerii. 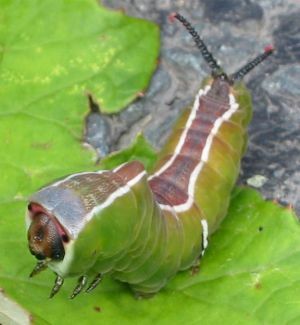 It is the caterpillar of the Hawk Moth - thanks Johannes!